We have received national recognition for our work in the local community at the annual LawWorks ceremony in London. LawWorks is an independent charity which works with lawyers to provide pro bono legal advice and assistance to individuals and community groups in need. We were awarded Best Contribution by a Regional Law Firm for the third time, for our work and strong links in the North East communities and charities sector over the past 12 months. We previously won in 2010 and 2011. 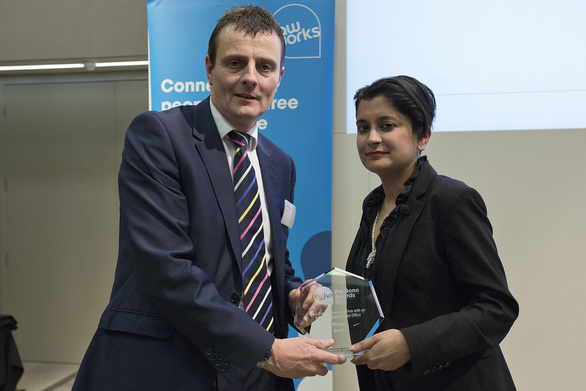 We were the only firm located in the North East that was nominated for any LawWorks awards this year and Partner and Head of the Construction and Engineering Team, Keith Bishop, was at the ceremony to collect the award from Shami Chakrabarti CBE, Director of Liberty. We are well-known across the North East region for giving our time, knowledge and skills to provide representation to those who would otherwise not be able to access legal services. In the last 12 months, we have provided pro bono advice that, on a chargeable basis, would have been worth over £100,000, benefitting over 40 charities. Hugh Welch, senior partner, said: “We are delighted to be recognised once again for our work with the local community. “Pro bono work is an important part of who we are and is one of our core values in being a responsible business. Everyone at Muckle – from the senior team down – is committed to making a real and lasting contribution to local people and we never underestimate how important legal assistance can be to the community projects that we help. 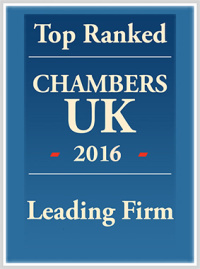 In 2011, we also won the LawWorks award for Best Partner Level Engagement in a Law Firm, which is judged against all law firms in the UK, and recognises our commitment to pro bono community work at the most senior levels. We have worked with LawWorks for the past ten years, offering legal support to community based organisations which apply to LawWorks for help. If your charity is seeking commercial legal advice, please contact John Devine on 0191 211 7905.